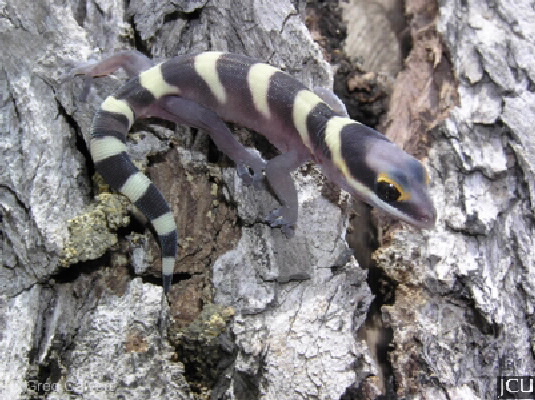 This gecko occurs in forested and woodland areas where it often shelters under loose bark and clumps of leaves. 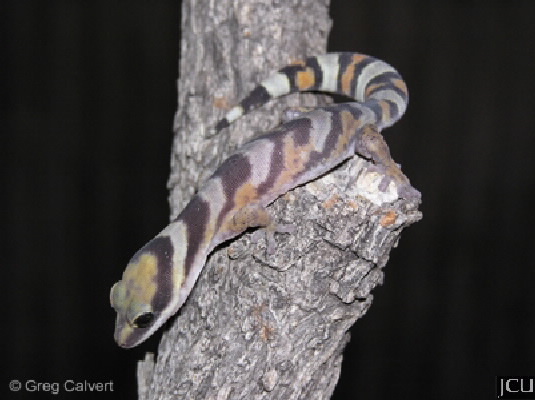 It can be distinguished by the fat tail which acts as a storage organ as a buffer against periods when food is scarce. The body has contrasting broad bands usually cream, yellow and dark brown but light brown and purplish shades have been recorded. Feeds chiefly on insects.